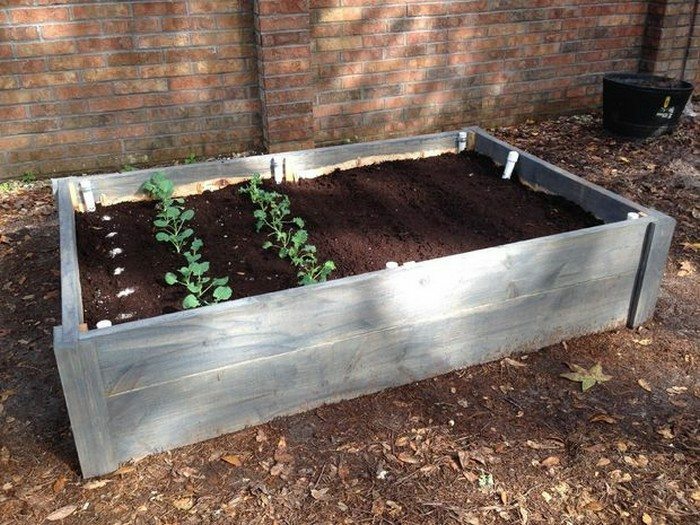 How to Build a Wicking Garden Bed Container | DIY projects for everyone! Living in a generally dry area can make growing produce a little more difficult for some gardeners. If you are one of those who want to make sure that your plants are well hydrated, a wicking bed is one idea that will improve your garden. 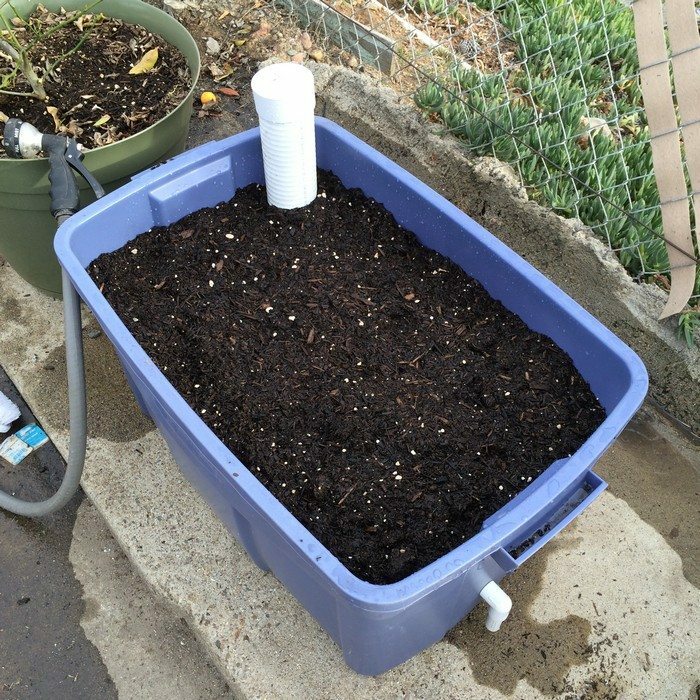 This wicking bed containter is perfect for small gardens, for those who live in the city for instance or that don’t have decent soil to grow plants in. A wicking watering system promotes a strong, healthy root system. Plant science also suggests that watering from the bottom also reduces the risk of fungal infections and wind and sunburn, especially on soft-leaf plants. Does this sound like a project your garden needs? Take a look at more wicking bed examples from our gallery and a link to a complete tutorial below to help you build your own! I have done this for over 20 years. If using poly pipe in ground with plants, not into boxes, don’t do the elbow joint. Why no elbow? Would you put the pipe in at an angle then? What about capping off the end of the pipe?